We are in the middle of winter, and the spring seems too far. Feeling cozy is essential and faux fur is exactly the material that can add coziness at once, besides, it’s timeless and fits many interiors, from boho chic to glam ones, so even when the winter finishes, yu’ll be able to keep the piece and not hide it. 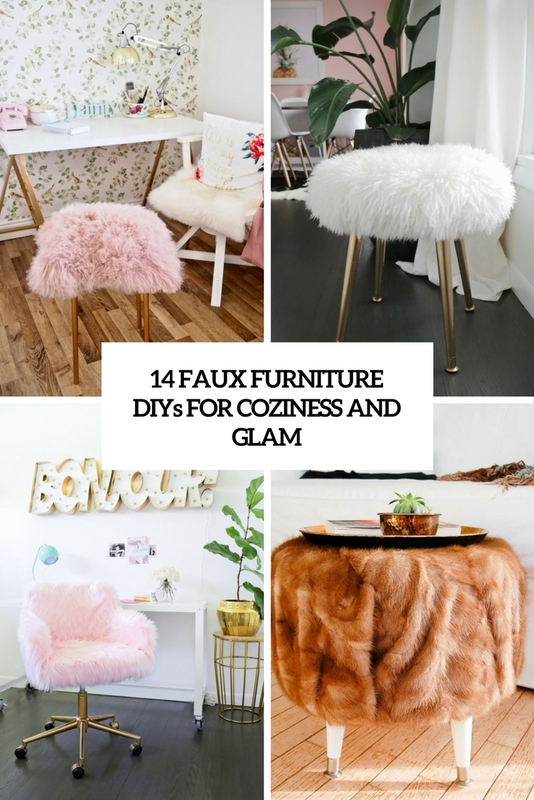 Faux fur adds interest and texture to the space, and I’ve gathered a whole bunch of awesome furniture pieces covered with faux fur: ottomans, stools and chairs, and I’m sure that you’ll find something fitting your interior here. Ready to see them all? 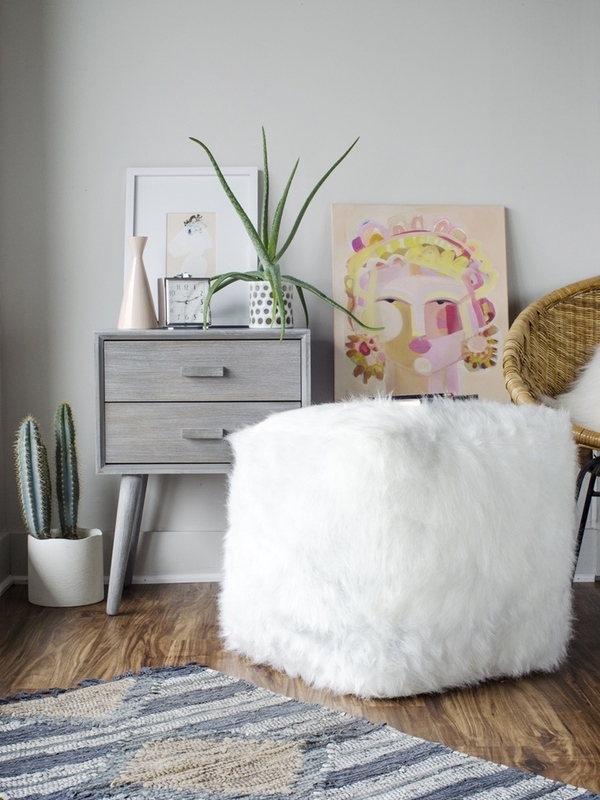 This awesome faux fur stool is made of a usual accent table and faux fur. It can work as a side table, ottoman, stool and in many other ways, and crafting it won’t take much time – just some working with a staple gun, and that’s it! Faux fur is a very glam material, and the more refined the piece is, the more glam it brings. 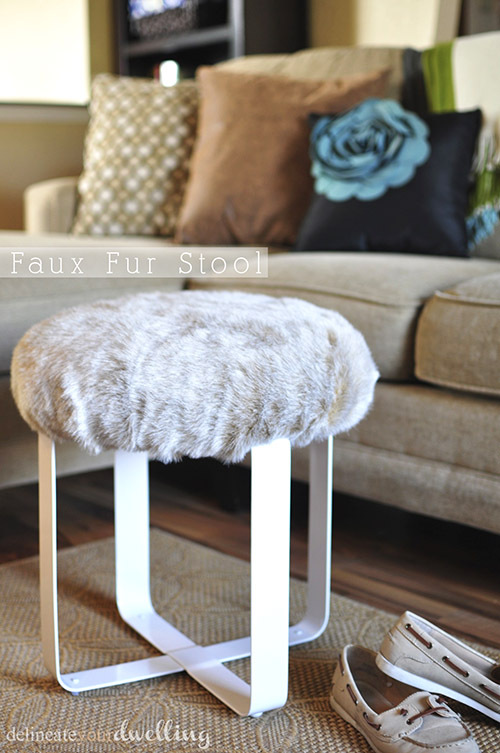 This stool is made of a vintage footstool and some white fur, which contrast and make up a cool combo. The result is very chic and exquisite and can make any interior cooler. 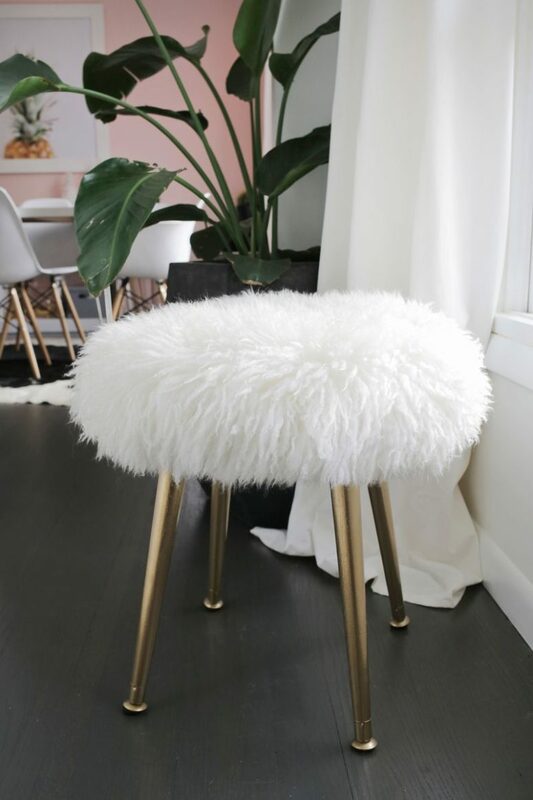 This super glam piece is made of IKEA Marius stool and some faux fur in pink – so glam and so cool that I immediately wanted to get one for my home! The stool was assembled, spray painted gold and then covered with pink faux fur. The piece is pretty simple to make the it will add not only coziness to your space but also a cool glam feel, girls, pay attention! Here’s another super glam piece that will be a nice addition to many spaces with a glam and refined feel. And you won’t believe it but the stool is made of a round wood board and some wooden legs! Of course you can take a ready piece but if there isn’t one at hand, no problem, this tutorial will tell you what to do. 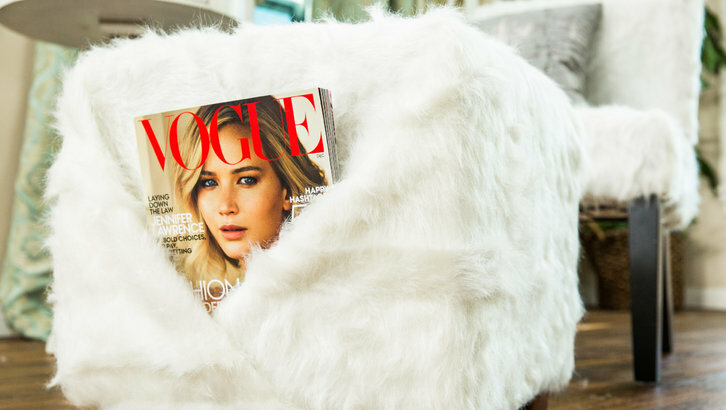 Cover the legs with gold spray paint, and add faux fur, and voila – all glam is here! This bench/ottoman is a great piece to place into your bedroom, living room or entryway, and it will add a glam feel. The legs were spray painted, and the upholstery was changed for faux fur, and voila – a bench/ottoman/side table is done! 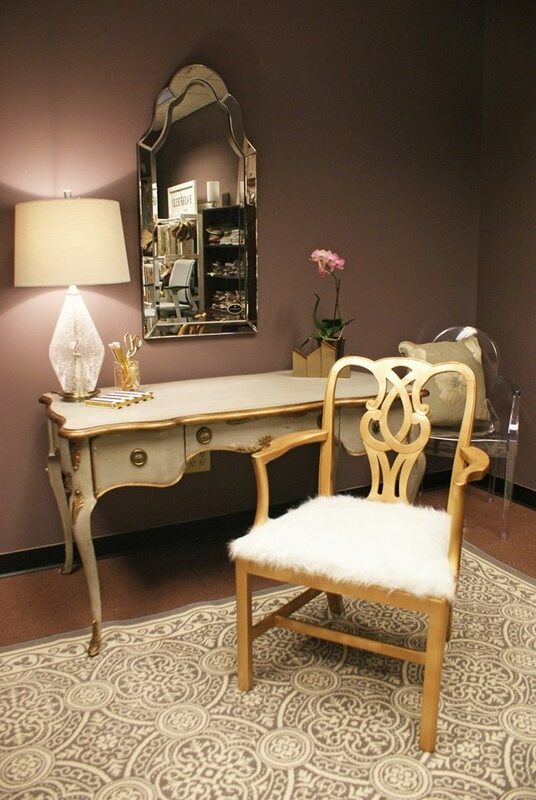 A usual office chair can be easily turned into a super glam piece right for a girlish space! 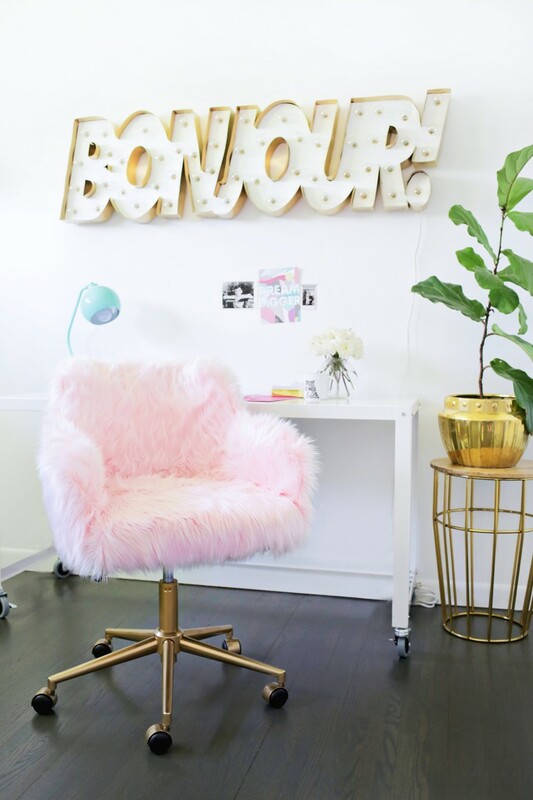 The legs are spray painted gold and the upholstery is changed for pink faux fur – looks aw-so-cute! 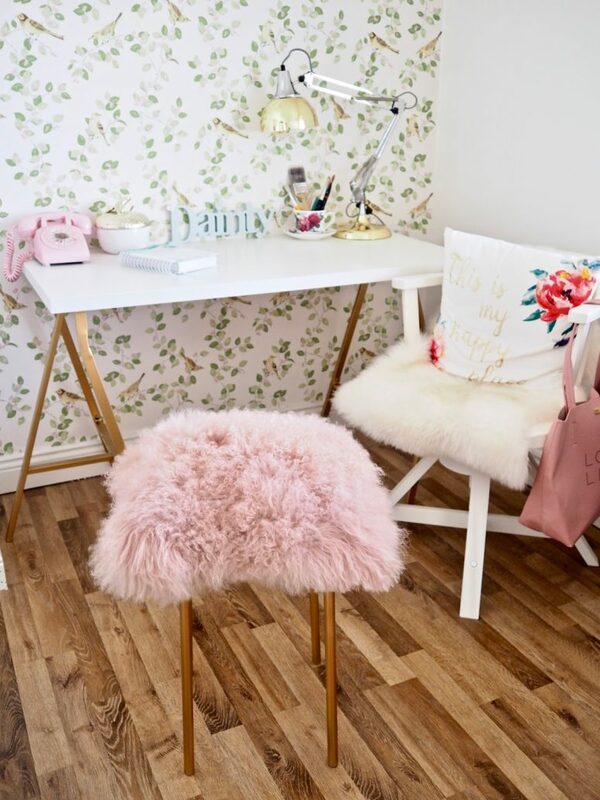 Girls, read how to make the chair and rush to glam up your home office! Here’s another cool chair project with a usual boring office chair. The chair got turquoise legs and contrasting white faux fur upholstery – such a cool combo! Not too glam and very cool – fitting for any space! Of course, you may go for another color combo but this one is very refreshing. Got an old refined chair or armchair? Renovate it using faux fur! The legs and armrests were given a shabby look to contrast the dark faux fur – yes, dark, it looks very chic! Such a refined and cool chair is great for any living room, it’s sure to make a statement and add texture. 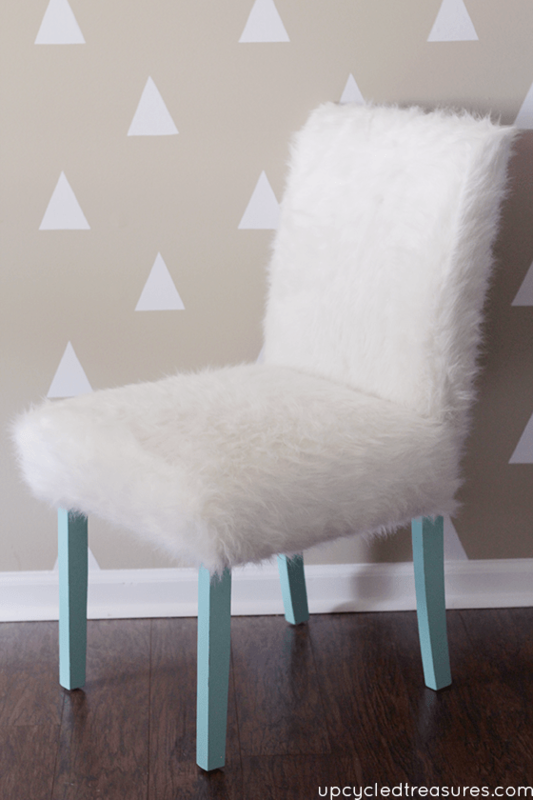 An old yet refined chair got a renovation with white faux fur – so chic! 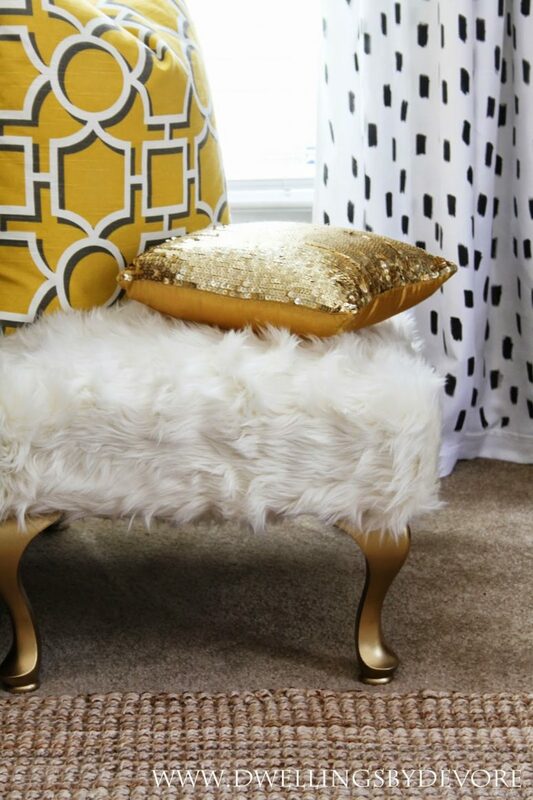 Re-paint the chair with the color you like and then change the upholstery for faux fur. Simple and cute, and an old chair gets a chic and refined modern look. Ready for more glam? 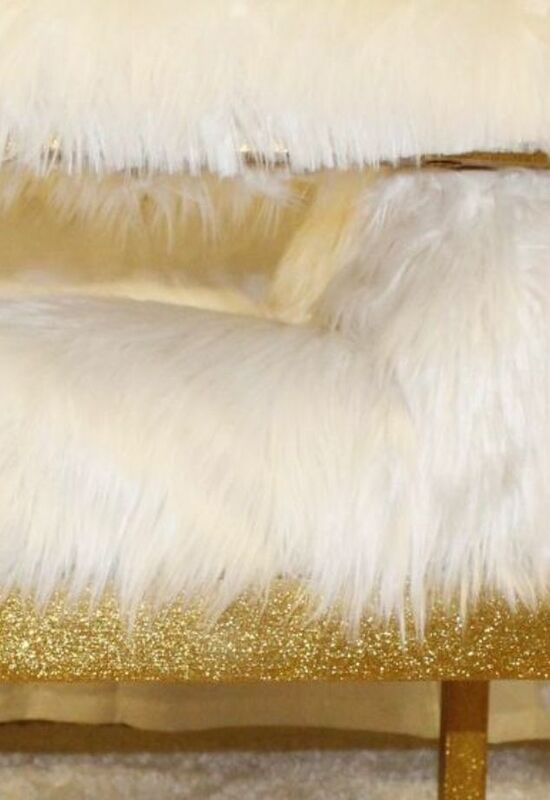 Here’s a gold glitter chair with white faux fur, and to be honest, I can’t imagine a more glam chair! This is a traditional armchair, which got armrest stripping, re-paint and an upholstery change for super chic and bold glam look. 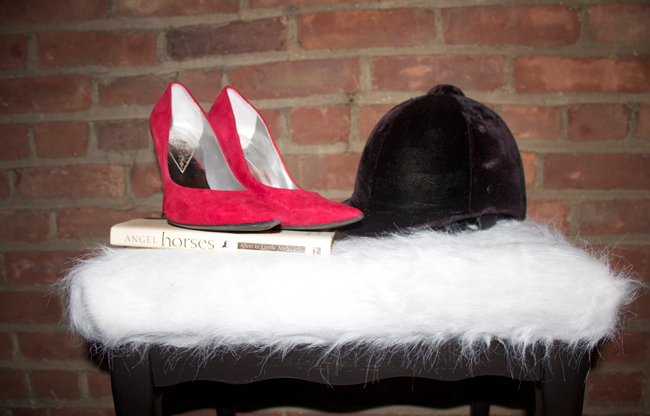 Find out how to make a cool faux fur ottoman paired with a chair easily and rather fast. There’s a tutorial with all the necessary techniques for both the chair and the ottoman, and I totally love the pocket on the side where you can put magazines and books. A usual cubic ottoman can be easily changed into a gorgeous faux fur piece with a strong glam feel! It’s super easy to make such a piece, and even if you don’t have a ready ottoman at hand, this tutorial will tell you how to make one using some wood. Read and get inspired to make it! 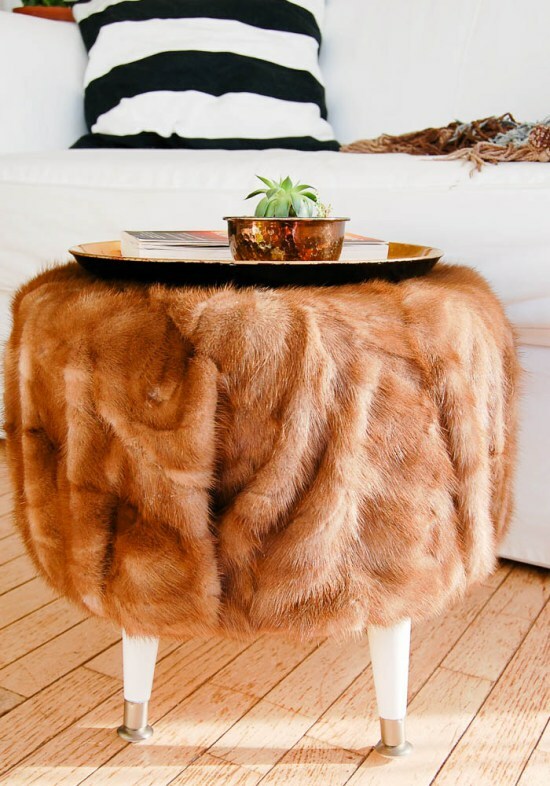 This bold and chic ottoman was created using very interesting supplies: a large wooden spool and an old fur coat – such a cool idea to upcycle! 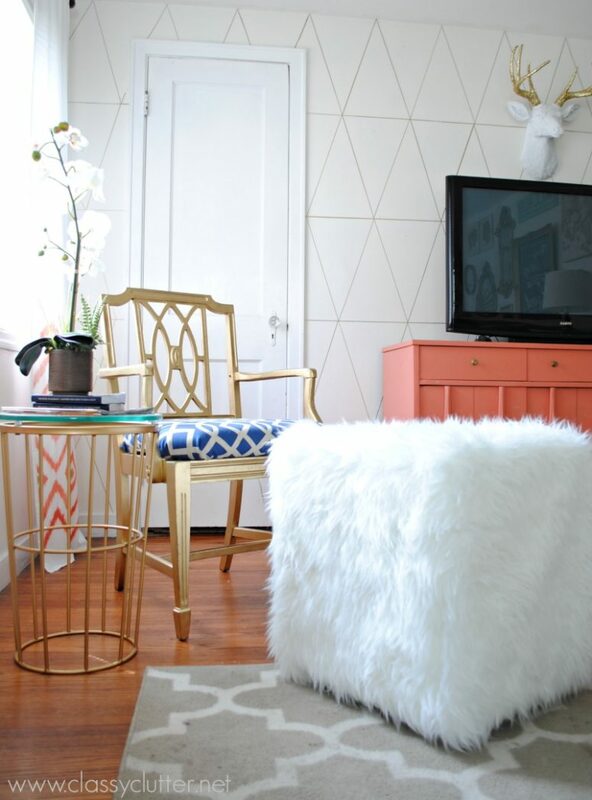 The ottoman got legs, a faux fur cover and a chic glam look. Find out how to make this glam piece and use it as you like – an ottoman, a footstool, a side table and so one. The final look will mostly depend on the look of your old fur coat or fur you’ll buy. This super soft and cute piece is made of fabric completely and covered with faux fur to make it super soft and tender. No hard bases, so even if you accidentally fall over it, you won’t get hurt. Read how to make it and go ahead!